Do you want to start running a business online as an affiliate marketer but still afraid of it? Spend just 7 days on preparation thanks to our everyday guide and steal the show! Well, if you've decided to become an affiliate marketer, your money-making list is where your income is generated. Obviously, there will be a lot of elements in your business which need your constant control. And money-making list is one of them. This list represents the process of communication between you and your audience, it helps you to keep your interested in the content. The quality of the list you build influences on your profit very much. For sure, after selling something to the visitor of your site once, it would be wonderful if you make him sign up for your list and come back. Only in this case the percentage of sales will keep growing. How to do it? Read further and we'll show you. 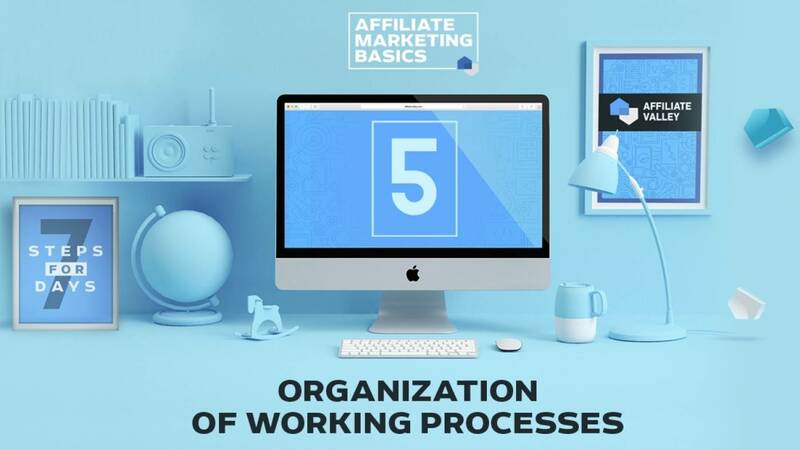 Do want to know how much do most professional affiliate marketers earn thanks to qualitative list building on each subscriber? Well, in general one subscriber brings $1 per month to affiliates. Don't be afraid of building a list wrong, because we can say that it's just impossible! It's easy. If you manage to create your own website, building a list won't be a problem for you. To understand better how all this stuff works just find a few experienced affiliate marketers and sign up for their lists. You'll see the mechanism from the inside and it will definitely bring you benefits. Finally, we'll calm you down saying that a lot of automated list building tools already exists to make your life easier. You almost have to do nothing for making it all work for you. We recommend you AWeber tool, because it is really a perfect one and was used by professional affiliate marketers many times, there was no one who complained about it. We love this tool, too. What does “autoresponder” mean here? Well, it means that this tool works automatically all the time generating messages and sending them to your subscribers. In addition to your domain and the account of a hosting which you already created, an account on AWeber is another very important step that needs to be done. Of course you may choose different tool, but we guarantee that it is the best for automated email reliability. The ethical bribe is not only intended to build your email list but also your credibility too. It’s your opportunity to demonstrate your knowledge in your niche and connect with your audience on a personal level. After having worked on your email system, a website, it’s time for you to get acquainted with one more stage of an online business building. Here your ethical bribe is meant. It is something that you give in return for email addresses of the audience you aim to attract. Nowadays it is extremely important because everyone worries about confidentiality on the Internet more and more. An ethical bribe represents a trust of the people towards you, it is also an indicator of your knowledge, experience and professionalism. It’s better to create your own. It will be the most difficult but at the same time the best way for you. We don’t speak about encyclopedia devoted to the niche you’ve chosen. It can be even a short report on any theme connected with it or a small ebook, but it must be informative and interesting for your audience. One more option for buying an ethical bribe is to look on a PLR (private label rights) catalog site like this one for rebrandable ebooks, articles, videos, and more. Whether you notice it or not, ethical bribes already bombard even you and everyone of us every day. They can be in a form coupons, sales, free offers etc. It all always works, doesn’t it? Remember that it’s not just something valuable, keep in mind the fact that it is connected with your target market. Your money-making list, your income directly depend the bribe. The more important the bribe, the more money you earn. We suppose that a lot of different way of ethical bribe delivery exist. Even AWeber site mentioned above can be used by you in this purpose. Now let’s concentrate on your website’s email capture forms. It’s the next step after creating a money-making list and an ethical bribe, and here again we come back to mentioned several times AWeber and WordPress tools. with them every step on the way to success will be easier, be sure! Speaking about marketing campaigns for e-mail the web form plays one of the most significant roles among its other components. If you have no access to your list, it will be difficult for you to find someone to send an e-mail. In this case you must be assured that your web form almost forces people to register there. Your ethical bribe has to be accurately designated in front and in the center, or any other places where it can definitely attract your audience. As for opt-in templates there are thousands of them on AWeber. Every single theme can be change in order to suit more to your website. Moreover, as you already know this tool is absolutely easy in usage. All you have to do is just choose the template that appeals to you most, make there some corrections if it’s necessary and use it for your website. If you want you can find more detailed tutorials for website design there. You’re always welcome. You probably know that pop-up boxes irritate many people. It is the first reason not to use them/ Secondly, it resembles almost ancient times, do you agree? So take care about the emotional state of your subscribers and don’t upset them. Of course, it’s up to you to decide what method to use, you can try several of them and decide what works with your niche and your audience in the best way. As always here we must note that the AWeber can help you to make it, and there you will also find tutorials on using opt-in forms on your website. Before turning on the new automated tool for list´building that is supposed to be there for you all day and all night, you need to carry out one more task. And it is very significant, by the way, because it will be the first impression which you will make upon your subscribers. As you know, the best quality of the automated software, such as AWeber, is the delivering of your messages to your audience in a self-acting way at the time it is supposed to be done (when people subscribe to you). To start this process you have to create initial welcome e-mail and, probably, several subsequent messages. How many follow up emails do you need? The question about the number of these follow up messages depends on your wishes. There no definite answer to this, you must think about your own opportunities and a time you are able to spend on it. If you want, you can write as many messages as possible to leave less work of this kind for another moment. If you are in the business on a daily basis more actively, you can write only one or two messages, and the rest - in real time and deliver them in the form of the broadcasting message. The broadcasting message is a message which is sent very quickly regardless of a timetable. And again it depends only on your decision. Each niche differs. Many professionals believe that you have to send e-mails every day. The key thing here is that your messages must be really useful and catching. Usually people don’t being bombarded by enumerable messages that have no point and contain a lot of letters but no sense.